1 - On-site design teams. Don't have an engineer on-staff? That's not an issue. The top electronics partners keep their own experts on-hand, and can -if necessary- custom design a piece of electronics from scratch, to meet your specified features\criteria. Even if all you have is a really great idea for a new product or device, there's a domestic manufacturing partner who can help you make it a reality. Trust is a major issue when picking an electronics partner these days. Can they actually deliver the product that's promised, even if it has demanding specifications? Having industry-trusted certifications can make your choice a lot easier here. Domestic manufacturers generally have newer facilities, and are keeping up with the strictest best practices in high-end electronics. When an EMS is certified to send its products on NASA missions, that means you can put plenty of trust in their facilities yourself. Sometimes an electronics project will seem to be going well, but then a problem rears its head and your engineers just can't fix it. If you've got a lot invested in the design already, you can't afford to throw that away. So find an EMS to take the design and fix it! When you've got top-flight talent on your side, that project can be quickly turned around and built to spec. 3 - Predictive testing and pre-ordering. Extensive testing services are another major service now on offer. Prototypes can be subjected to a range of laboratory-grade stress tests and other failure testing to determine their exact limitations, as well as their likelihood to fail under normal usage. This allows you to plan your post-sale support services with great accuracy, including pre-manufacturing components based on their statistical failure rates. This can result in huge cost savings on the back end, after product release. 4 - Full customer support options. Having the manufacturer also handle support simply makes sense. No one will ever know the product as well as them. You get a lot more when you partner with a domestic EMS these days. Even if the pure manufacturing costs are slightly higher than overseas (although not as much as people think) you can get a full range of additional services that vastly improve the overall TCO\ROI on your investment. Want to learn more? 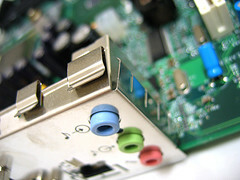 Contact Zentech today to discuss your next electronics project.